Milo Ventimiglia is an actor who knows what it’s like to be a hero on the small screen, albeit with a lot of wincing, as he led much of the drama swirling around NBC’s Heroes during its four seasons. Now he’s jumping to the other side of virtuousness, joining Fox’s hugely popular Gotham as yet another vicious villain for Jim Gordon and Harvey Bullock to hunt down. The Ogre will first make his presence known on Gotham in Episode 19, and he’ll be around for a multi-episode arc, presumably the one that closes out the comic crime drama’s first season. According to the press release, Lennon’s killer obsessions will send both him and Gordon down a tragic spiral. Does this mean one of the women in Gordon’s life will get snatched up by the Ogre? I don’t think I’d be too bothered if Barbara found herself in danger, but not Dr. Crane! 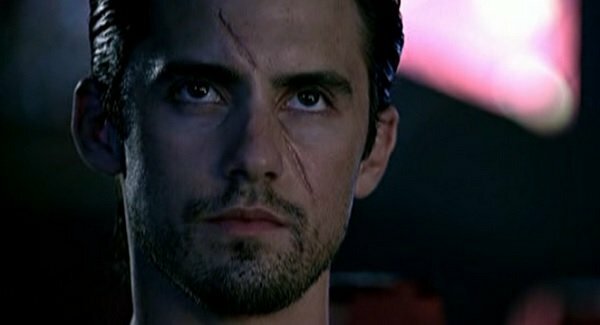 Is it just me, or is Future Peter Petrelli the only thing possible to think of when considering Ventimiglia as a comic book villain? That scar, though. Ventimiglia has been a TV mainstay for his entire career, and his most recent projects were the shortlived crime drama Mob City and the ongoing Crackle original drama Chosen. He’ll soon be seen on ABC’s sci-fi drama The Whispers, as well. While former Chuck star Zachary Levi will be leading the upcoming Heroes Reborn, Ventimiglia hasn’t signed on yet. It doesn’t seem like the Heroes universe would be quite right without him angrily making beams fly out of his hands. Maybe Gotham will get him back in the mood for this kind of heightened material. I don’t have nearly enough fingers and toes to count how many bad guys Gotham is dealing with. Beyond the Penguin, Falcone, Victor Zsasz and others we’ve already seen, creator Bruno Heller has also confirmed The Dollmaker, Red Hood and the Scarecrow will be coming in future episodes, with the Riddler’s growing presence getting more noticable. Even The Joker will get his first official nod at some point this season. Find out what else Gotham’s underworld is planning every Monday night on Fox.